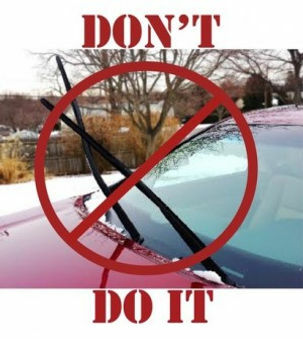 With the forecast calling for possible icy conditions this weekend, your neighbors may be putting their wipers in the "up" position (away from the windshield). But is that the best way to deal with your frozen windshield? Not so fast - that might not be the best idea. According to an article we found on WeHeartHonda.com, you should NOT leave your wipers up when a freezing rain or similar conditions are forecast. 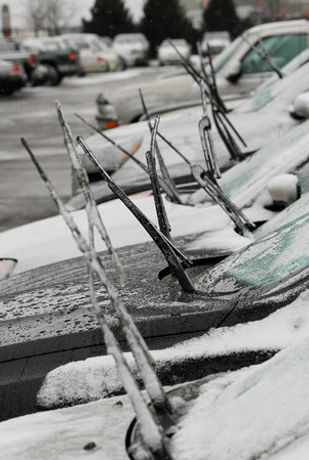 A Honda Service Adviser your wipers can actually break-off with a strong wind or if hit with a chunk of snow or ice. And that makes sense, doesn&apos;t it? The freeze makes your wipers more brittle (the plastic) and as thin as they are, we can certainly see their point. The adviser from Seekonk, MA (we looked it up, it&apos;s outside of Providence, RI) also says that your wipers are heavier because of the ice and could snap back, hitting and possibly cracking your windshield.So what else can you do? 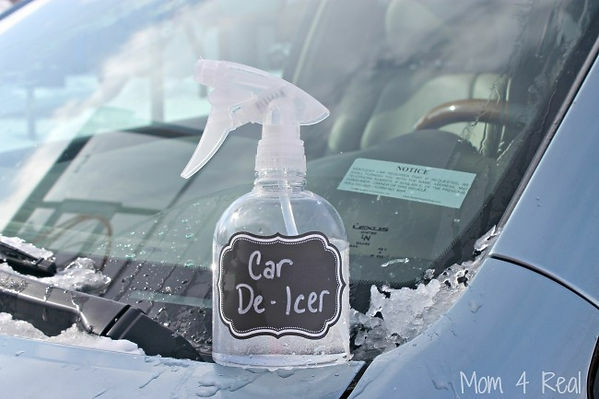 Well if you don&apos;t want to start the car 5 minutes early to let it warm up with your defroster on full blast, may we suggest a 2 ingredient solution that will almost instantly defrost your windshield and can also be used to defrost the door locks too! Fill the bottle 2/3 full with the rubbing alcohol and fill the rest with tap water. IT&apos;S THAT SIMPLE! Now, we read another article that said you can keep this in your vehicle, but we DON&apos;T recommend you do. This author tried that, and when the temps dropped down to -5 degrees, the solution didn&apos;t freeze (was more like a slush), but the bottle and the spray-pump mechanisms did! Keep it in your apartment, and when you go out to your care, take it with you to use! (but then take back inside later) The National Weather Service says we&apos;re under a Winter Storm Watch for Peoria IL this Sunday and Monday, so take precautions now and save time later! Be safe, and thanks for reading!